Hummingbirds are very small but they move around so fast that up to now I have not been able to see where they go after they fly away. The photo below shows how most of us see these birds. 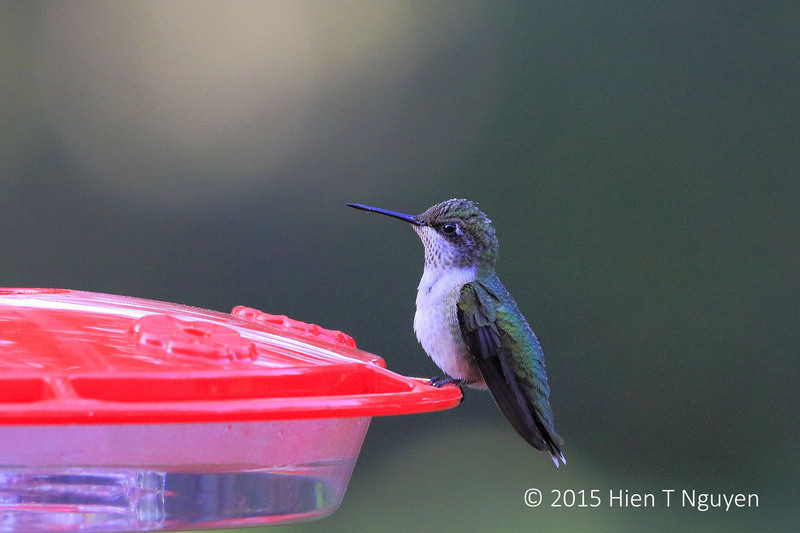 Hummingbird: this one looks like a young male born this year. 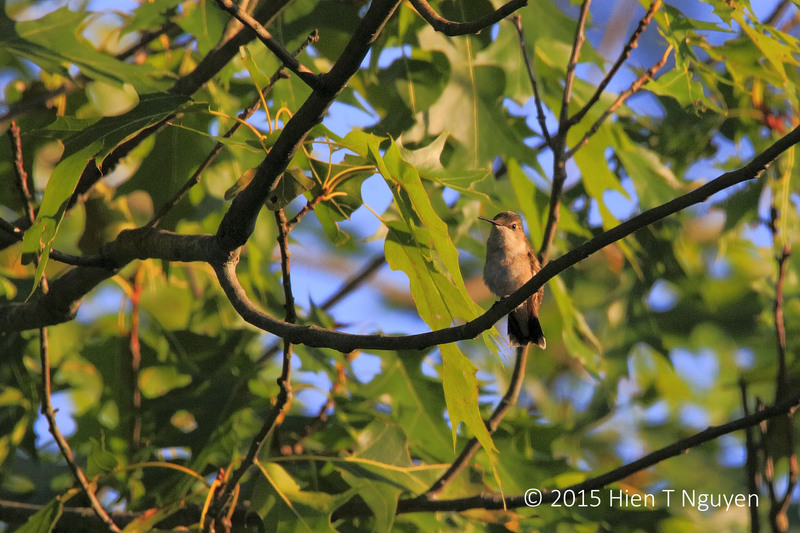 However, yesterday I saw one fly to a nearby oak tree and perch on a branch. Female Hummingbird on oak tree branch. 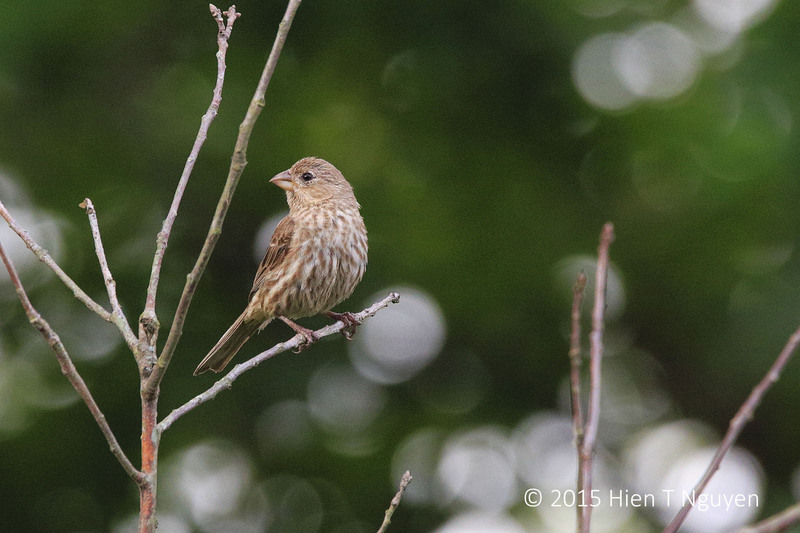 To give you an idea how small it is, here’s a shot of a female House Finch at about the same distance. 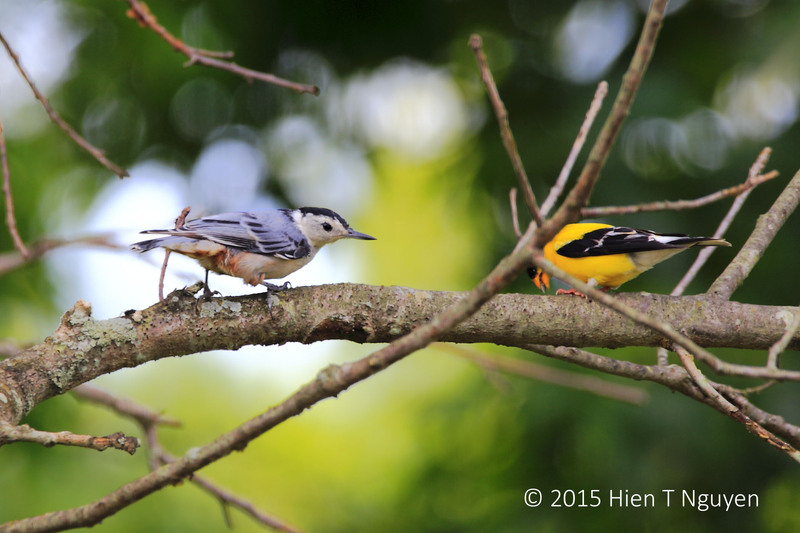 Or, how about a Nuthatch and a Goldfinch for comparison? And that’s more than enough. Thank you Takami! I love the lighting in the first photo. Perfect! I put up my first feeder this year and they finally found it. I have a ruby-throated and a calliope coming often. But yes, I have seen them perch in the bush next to the feeder as well as in the large oak nearby. The ruby-throated has become territorial of the feeder now, which means I will be getting an additional feeder next season. Thank you! I will probably follow your example and put up a second feeder. That is what I am told to do. Either put another one or two in separate areas, or two group them together. Nice captures all of them, Hien! The first photo is my favorite. He’s looks like in deep meditation pondering the wonders of the world, in no hurry to go anywhere at all. Thanks Tiny! I agree about that first photo. He’s got the philosopher’s perpetual frown on.